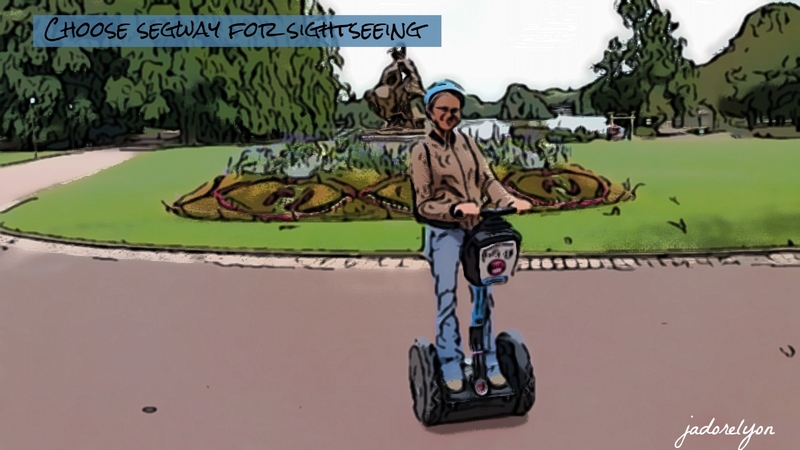 Why you should choose Segway for sightseeing in any city? 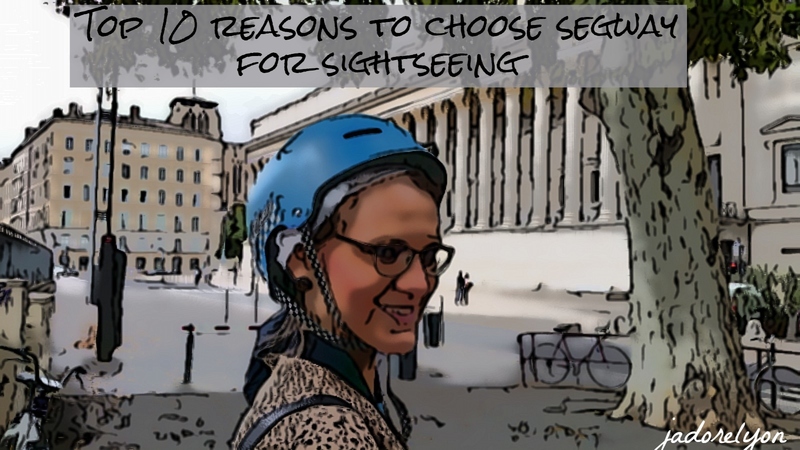 10 top reasons why you should choose a Segway to do the sightseeing in any city and especially in Lyon!!! I think, firstly, I should say I did it so you can do it as well! I tried Segway for the first time and I loved it. I need to admit I was nicely surprised to find out how easy, super fun, interesting, cool Segway is and on top of that how great it is to use it to do sightseeing in the city. So let me tell you why I think it’s worth choosing Segway tour to discover the city and as a bonus let me tell you why and how you can do it in Lyon! Probably you have never had a chance to ride a Segway and it’s totally great, easy, fun thing to do. If you had a chance to ride a Segway, I bet you want to do it again! 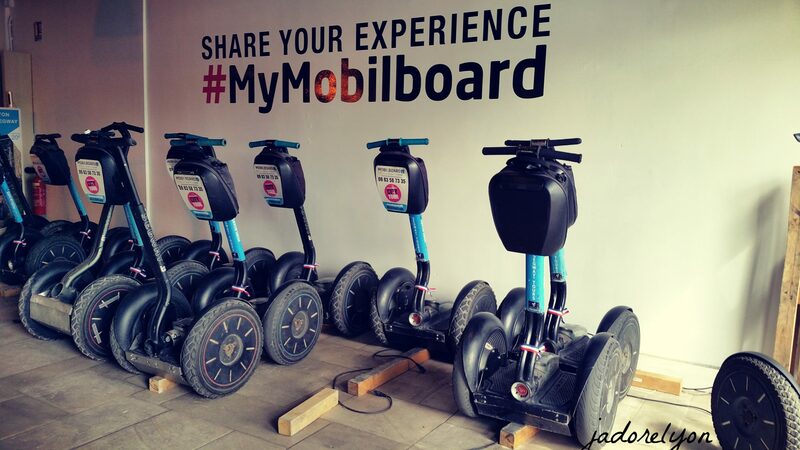 You have it all: the experience of Segway itself and the tour of the city. It’s one of the fastest, most efficient, interesting ways of discovering the city. Imagine you have one day in a city and you want to see it. No possible by walking or doing it yourself. You can choose a traditional guided tour, bus tour or even bike tour but what’s a difference it’s to do it with Segway? It’s not only for tourists but also for local people to try and rediscover their city. It’s for anyone, no age limit, and you don’t have to be sportive at all. Because I am not sportive at all, so I was so scared to embarrass myself but not at all…I did it, enjoying all along. The only one limitation is you can’t be skinny, min 40 kgs as the weight is needed to ride the Segway. So you have to pay attention when considering to do it with your kids. Yes, it’s possible but they have to be good size…. It’s extremely interesting as on top of the activity, you learn about the city and you see the places, monuments and learn about them plus you get all the anecdotes about the city which you can’t read in a guidebook. You can meet new people. You can do it alone and join a group or you can do it with your friends and family. Anyways, the great time is guaranteed! A great gift idea for yourself or your second half. Imagine kissing on a Segway! Not everyone can do it. It’s also a great idea for a family activity. Your kids will love it. It’s an unusual yet super creative gift idea for a friend. Remember to get at least two tickets so you can join your friend! And now since you are bought into the idea of discovering the city with the Segway, I can tell you why and how you can do it in Lyon! Firstly, because it’s extremely easy to book and organize your Segway tour in Lyon. I did it with Mobilboard which is a chain of a very reputable and well know big company and exist in any city in France. Maybe you have already tried it. Did you? 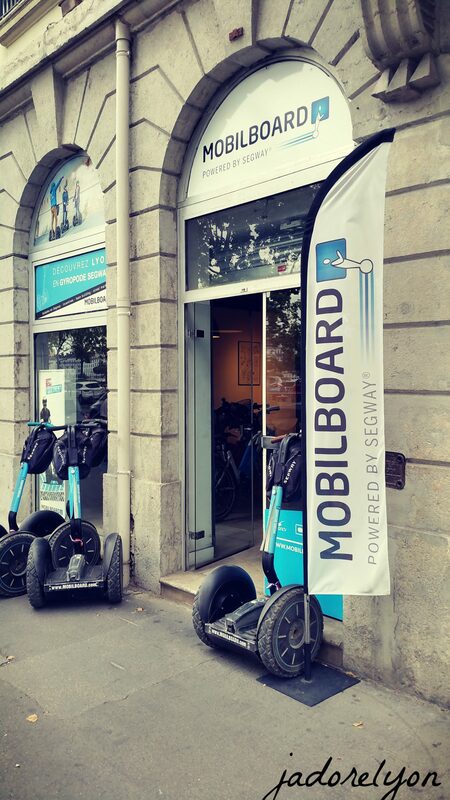 Secondly, because the Mobilboard agency in Lyon is TOP! Professional, welcoming, experienced and on top of that the whole team is really nice. Thirdly, they have a selection of tours and activities to choose from. You can do it in the morning, afternoon and even night! Lyon is a city of lights so it’s worth doing it when it’s dark. You can also choose how long you want to do it and which part of Lyon you want to visit. You can decide on visiting even few main places of Lyon, they can be discovered in one 2 hours tour or few separate ones. Lastly and most importantly, the guide. I’m sure they are all so well trained and experienced as our Cecile. I was totally impressed on how the tour is organized, how we are taught to ride the Segway, how we are made to feel safe and how many anecdotes and interesting facts about Lyonthe Segway guide knew and I didn’t! So if you have a chance, try it out. I would highly recommend Segway tours and especially the one in Lyon. Or maybe you have already tested Segway anywhere? Do you like it? Do you know any other interesting ways to discover the city that you can recommend to try? Thank you! As you said, great way to visit a city within short time, or even to rediscover it if you leave there ! Worth riding !